Combine all ingredients in a sauce pot and cook on low heat until all the liquid has evaporated, approximately an hour. Blend until smooth and let cool. 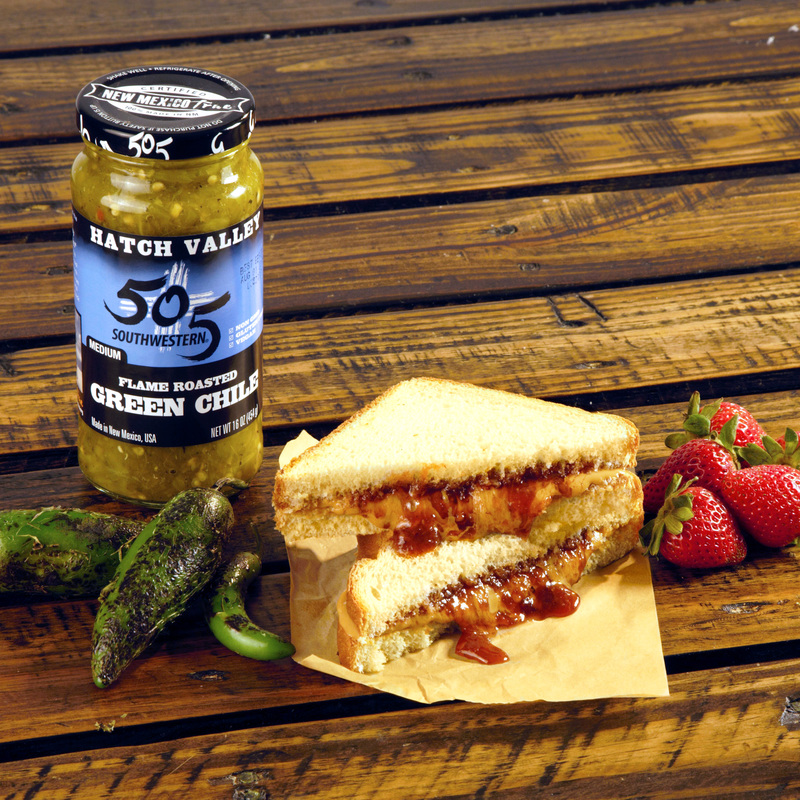 On four slices of white bread, add ¼ cup of the green chile jelly and ¼ cup of peanut butter. Top with another slice of white bread and serve.